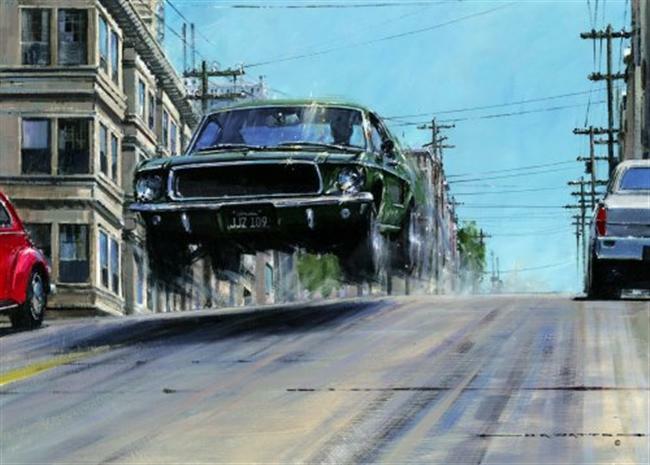 BULLITT, the smash hit cop action movie of 1968, torquing $54,300,000, hit cash registers and the Classics list for two reasons. One is the famous 11-minute car chase roaring through San Francisco. Hardly the first hot pursuit in movie history, it nonetheless gets credit for becoming the template for the torrent that followed. What is rubber for, if not to be smoked? Ford Mustang. Dodge Charger. The first driven by the city’s coolest cop, the second by two silent-but-deadly hoods too busy being ruthless to crack a smirk. Burning tires, flying hubcaps, airborne intersection jumps—all at speeds up to 110 mph. Throw in buckshot blasts and an exploding gas station. The sequence sealed the Best Film Editing Oscar and a nomination for Sound, drowning out spoilsports grousing that the city’s geography gets conveniently re-arranged for dramatic purposes. The second reason is Steve McQueen. Already with a hit under his belt that year in The Thomas Crown Affair, the 38-year old actor cements his essential Movie Star persona: the guy who can ‘handle it’. 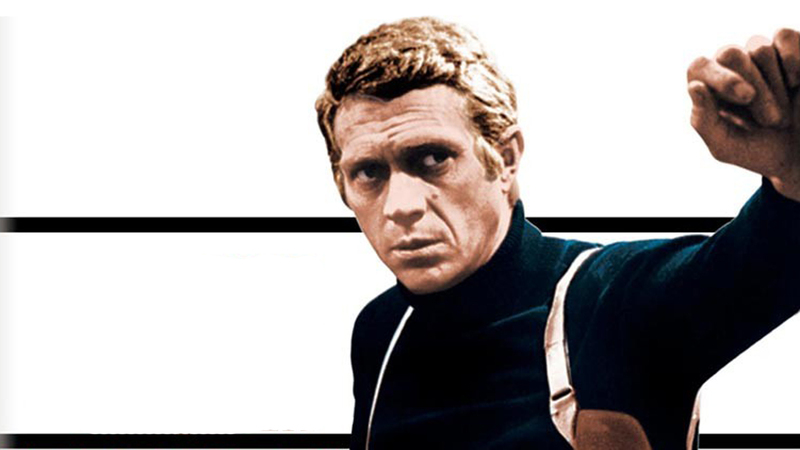 If you need to protect your village from banditos, leap Nazi barbed wire with a motorcycle, keep your boat afloat on the Yangtze or make out with Faye Dunaway, you don’t need to go all the way to Her Majesty’s Secret Service for help: seek Steve. He was always an arresting physical actor, graceful with props and body language. Here, beyond the sleek haircut—kind of functional mod that’s practically a poster for ‘cool’—and that faintly taunting meld of calm v. tense he carried in his body, it’s the wary eyes that convey a load of information. His intense concentration provides visual armor, his vocal delivery melds the natural and the precise: it’s a keen read on character, unadorned with the kind of ‘acting’ flourishes that saddle many cop flicks to camouflage their contextual triteness. 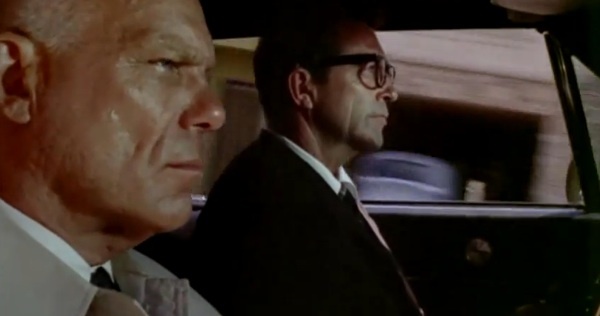 Director Peter Yates guided editor Frank Keller and cinematographer William A.Fraker in top form not just with the car chase, but with the sudden and surprising homicide opener that kick-starts the story and in the tense cat & mouse climax at SF airport runway & terminal. 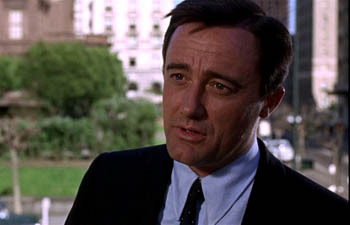 Robert Vaughan has one of his best roles, oozing silken menace as an ethically-cutthroat D.A. Some posit that Vaughan’s too-true portrayal here may have hurt him with a possible political career, voters identifying the thoughtful man ( author and P.H.D.) with his expert playing of a chilly character (although making over 1000 speeches against the Vietnam War might’ve factored in…). Other cast members stay low-key, serving the story without any slices of ham: Simon Oakland, Don Gordon, Norman Fell, Robert Duvall. Jacqueline Bisset’s part seems a script contrivance–“give him a pretty girlfriend” — and the actress, then 24, has no room to develop it, a handicap she’d fence with for years. The plot itself is of minimal interest, in fact it’s kind of a yawn: style is what counts here. Other detective movies from the period seem pretty overwrought today, especially since they were delivered as ‘fresh’, ‘bold’ or ‘with it’ during that time of social upheaval. Watch Madigan, Coogans Bluff, The Detective or Tony Rome and now they’re just camp-fests. 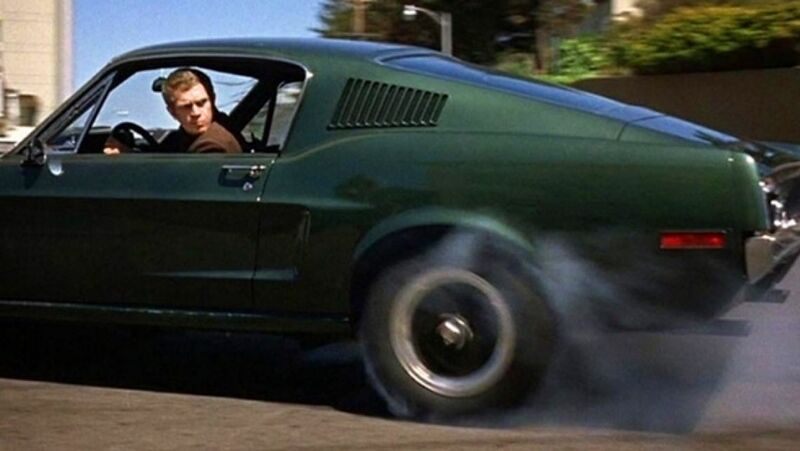 Bullitt plays it straight, and holds up, five decades later.